Where is your favorite place to Coffice? What is coffice? Coffice: A term that combines “coffee” and “office.” It is when a person goes to a coffee house, makes it into an office and performs non-coffee shop work. Do you have a favorite cofficing spot? 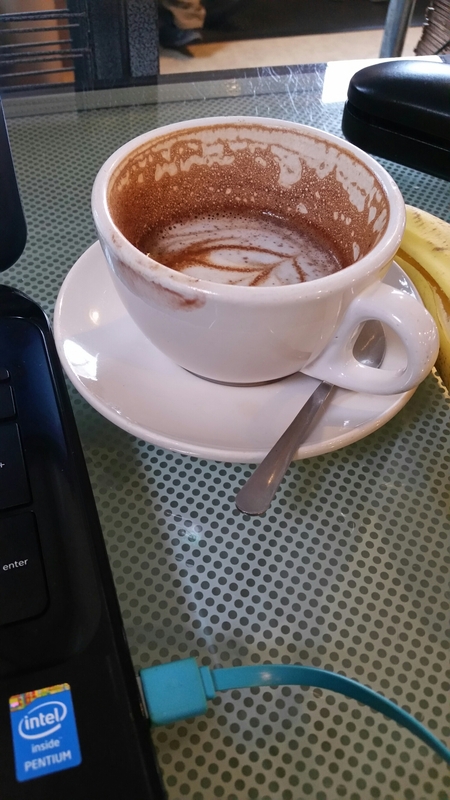 Today, I decided to coffice at Vigilante Coffee in Hyattsville, MD. Categories: Uncategorized | Tags: coffee, coffice, Happy Monday, mocha latte, office, Vigilante Coffee, work | Permalink.